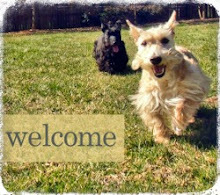 It is no secret that my Scottish Terriers aren't "just dogs." To me, they are family - my fur kids. I see them as any proud mom sees her children. I talk about them all the time and share pictures of them too often (you know this to be true by now!). I take care of them, protect them and provide them with everything they need. 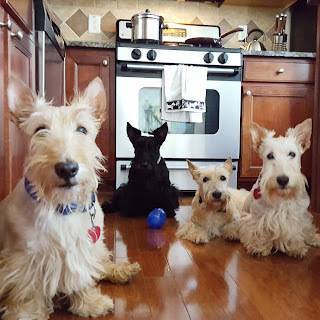 I bathe them, I clothe them in ridiculously cute outfits (even if it takes a treat bribe every once in a while) and, of course, I feed them like I would any other member of the Scottie Mom family. This post is sponsored by Blue Buffalo™ and the BlogPaws® Pet Influencer Network™. 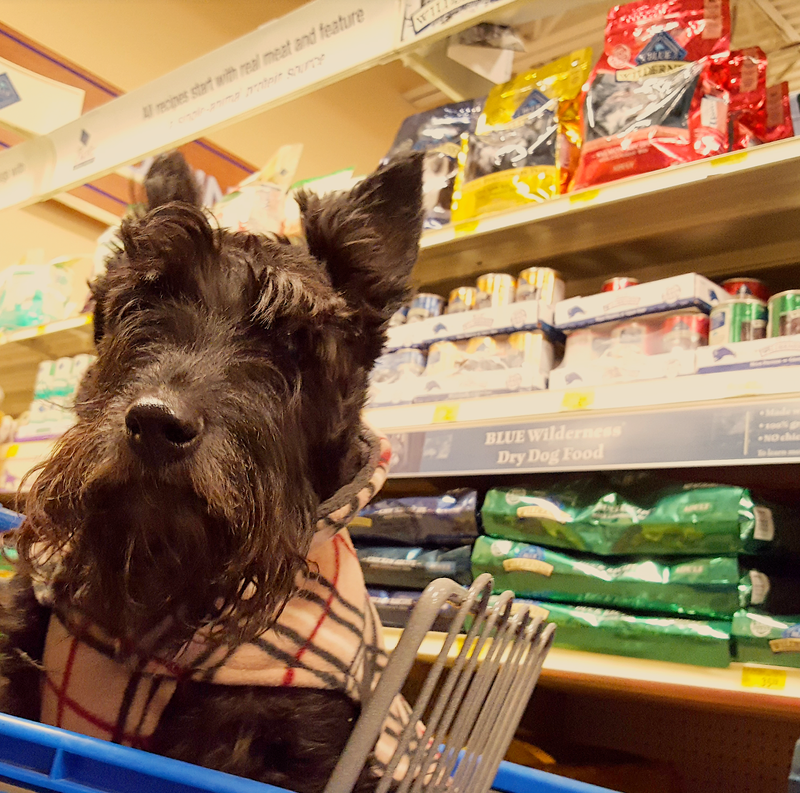 I am being compensated for helping spread the word about Blue Buffalo’s extensive product offering for cats and dogs available at PetSmart® but this Scottie Mom only shares information I feel is relevant to our readers. Blue Buffalo is not responsible for the content of this article. 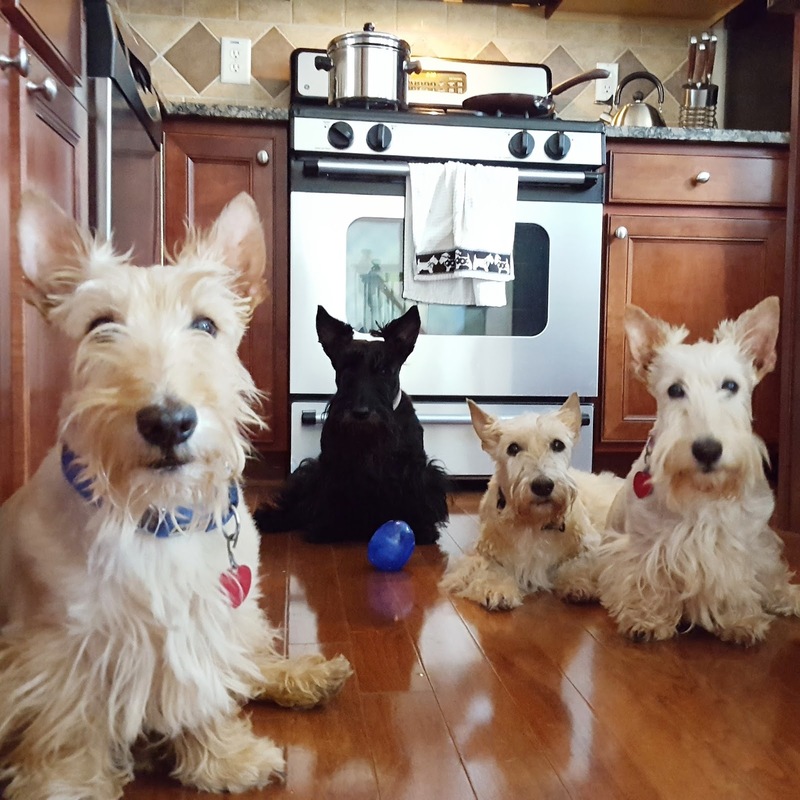 For years, I've fed the Scottie crew Blue Buffalo products. Salmon always has been the protein of choice since our vet recommended it for Mr. K's allergies. So when I had a chance to learn more about the BLUE™ Wilderness line of products at PetSmart that offers a higher concentration of the real meats dogs love, I was pleased to learn of the grain-free salmon recipe. 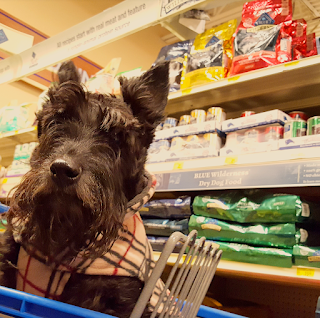 So was Mr. K. He and I had a mommy-and-me date at PetSmart this weekend to pick out a variety of BLUE Wilderness products to try, including the healthy holistic pet food, treats and Wild Cuts Trail Toppers - a fan favorite among the Scottie crew. 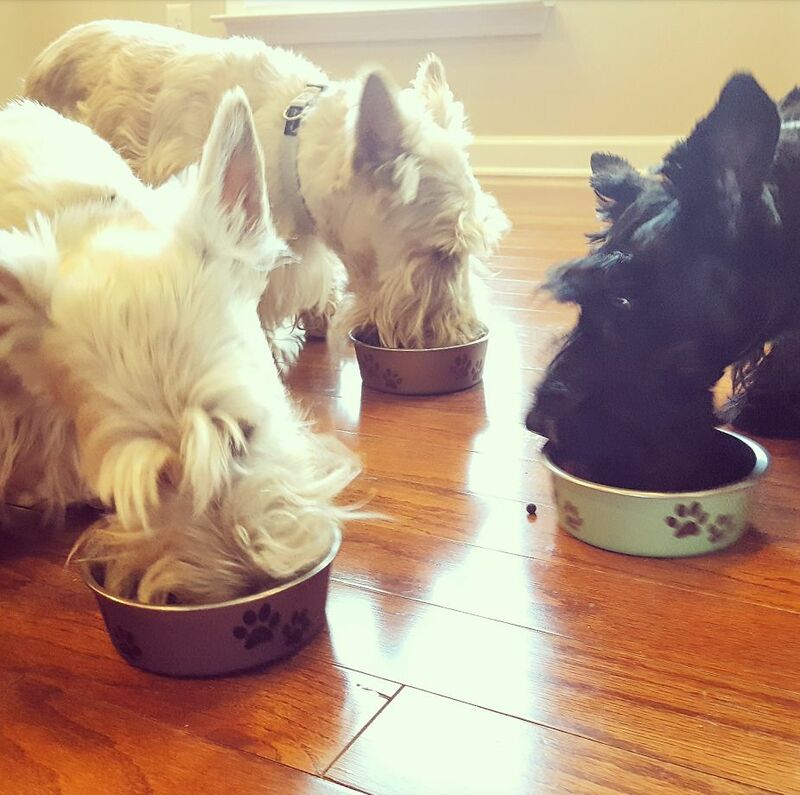 With Thanksgiving around the corner, I wanted to treat the Scottie crew to a meal they would never forget. After all, I have so much to thank them for this year. They all have played a role in helping me cope with the recent loss of sweet Heather. Nibbles has become resident cuddle bug. Pudley has emerged as the Scottie House jester. And handsome Mr. K continues to be my rock, always there when I need him. 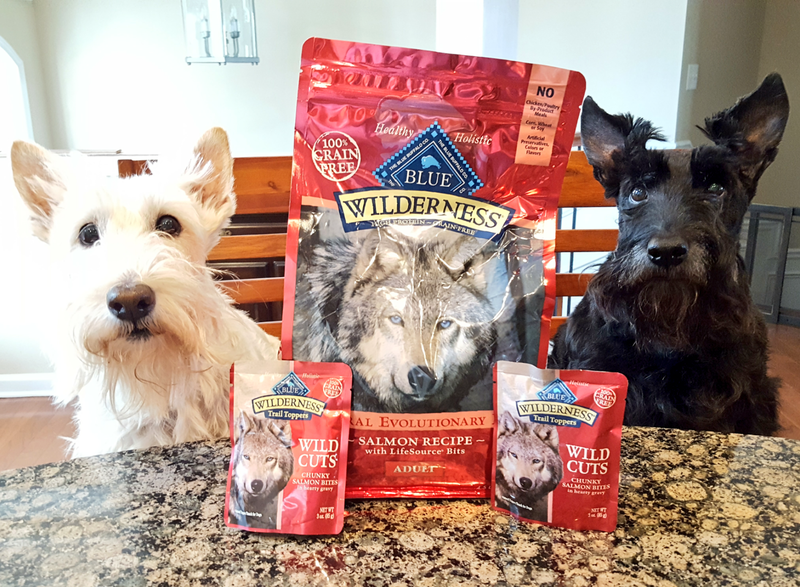 I mixed the BLUE Wilderness Wild Cuts Trail Toppers with their regular food the first night. The next time, I mixed in the BLUE Wilderness salmon recipe dry food. And then, it was time for the big reveal: an early Thanksgiving dinner! 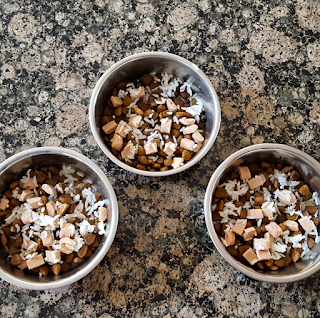 I whipped up a special, meat-rich recipe for dogs, adding in the Wild Cuts Trail Toppers. I kid you not: all of it was gone in 60 seconds. Of course, no meal is ever complete without a little dessert. I bet you can pick out which dessert the Scottie crew chose from this lineup of Blue Buffalo treats. (Hint: there are blueberries in it!). With their tummies full, all three Scotties jumped atop the couch pillows and settled in for a quick snooze. As I listened to those silly Scottie snores, I smiled. It felt good to give them the same happiness they give me and the rest of the Scottie Mom community every day. Interested in trying Blue Buffalo products? Visit PetSmart to check out the extensive line of Blue Buffalo products for cats and dogs. Not sure which product is right for you? Every weekend, BLUE sends their Pet Detectives to your local store to help you make the best decision for your family. This is a sponsored conversation written by me on behalf of BLUE. The opinions and text are all mine. Scottie Mom, I am with you about good quality food for our Scotties. Patti is on a fish and limited grains formula as well. 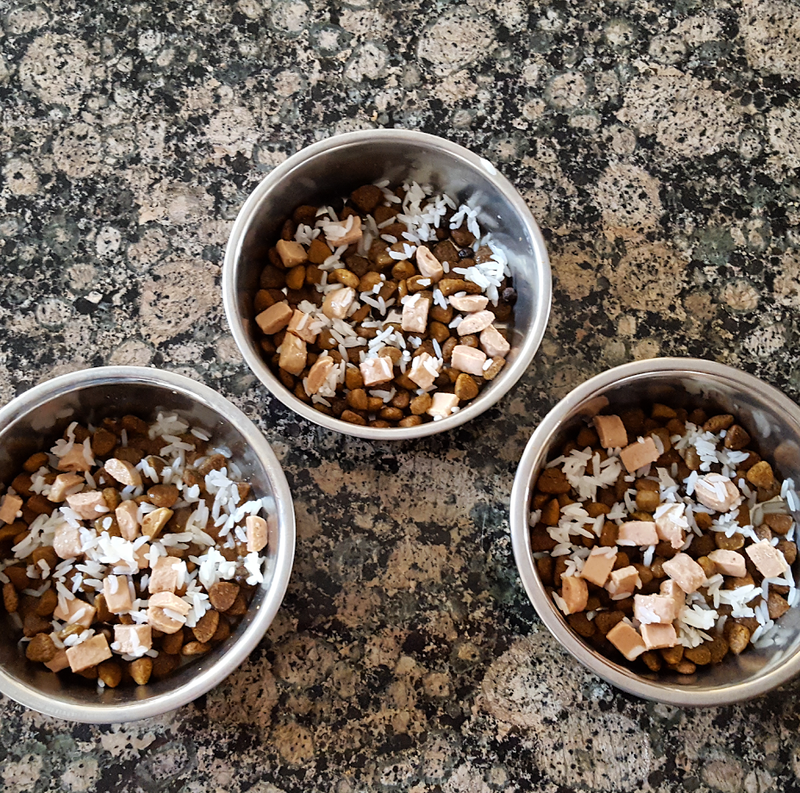 Just one word of caution -- in my zeal to provide the best food in the beginning and to try to minimize her allergies, I chose one of the very high protein/wilderness type foods for her. It turned out that what I was giving her had too high a protein level, and she got quite ill because of it. 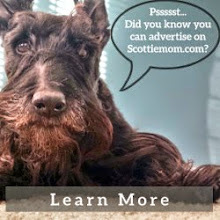 I felt like the worst Scottie Mom ever! Our vet suggested a more balanced mix with a lower protein level, and the current blend still helps minimize her allergies.